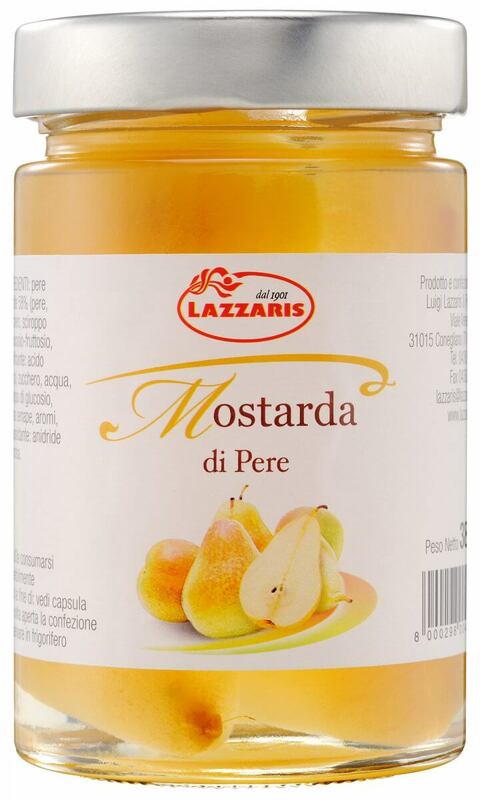 Candied white pears, mustard flavouring, glucose syrup, sugar, water. The delicacy of white pear meets the crisp aroma of mustard resulting in an intense flavour. An ideal accompaniment to roasted and boiled meat, and mature cheeses.